At the age of 15 Hans Boujaran was taught by his mother to work on tapestries and Needlepoints in his hometown of Tehran. Little did that young boy realize that a creative seed had been planted in his heart, and that 17 years later he would own Antique Rug Galleria in the prestigious village of Southampton New York. Hans's passion for art and interior decor is poetically translated into rug designs. His years of studying the masters and tenderly restoring antiques have given him a deep appreciation for the classics and true craftsmanship. "My clients appreciate designs that withstand the passage of time. They are looking for authentic art and they appreciate that they are supporting a dying art form." Antique Rug Galleria collections are made from 100% hand spun lambs wool, using natural and vegetable dyes to create gentle luminescent color. 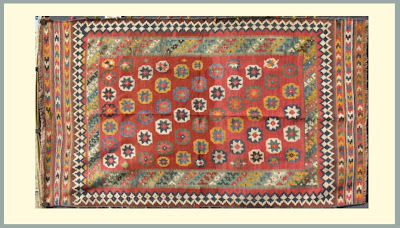 Hand knotted by Afghan weavers, this tradition has been passed on through the family, in the same way as Hans learned from his mother. "My inspiration comes from life itself, I have learned how to interpret colors and patterns from nature, architecture, textiles and paintings, translating my vision into rug designs." "As an artist, my canvases are my treasured rugs, each design has its own story and soul."